If you’re a big fan of the command tab Application switcher, you might enjoy adding a window switcher to your list of keyboard hotkeys. The window switcher allows you to jump between different windows, both those of other apps and the same app with a hotkey like option tab, which sits nicely next to command tab in my muscle memory! This is particularly useful if you have a couple of windows open in several applications, and it is much faster and neater than first using command tab and then command backtick to cycle through an app’s windows. Another advantage here is that the window switcher will include full screen and non-full screen windows in multiple spaces, which command backtick typically does not handle well, something I find particularly frustrating when using Xcode. With Hammerspoon up and running, adding the window switcher is just a case of cutting and pasting some code into your config file, saving it then reloading. You can use the default code in hs.window.switcher docs or use mine below. The default code is a bit ugly for my liking. Instead, I use the code below, which sets up the switcher’s ui as seen in the screenshots here with option tab and option-shift tab for shortcuts, but you can modify the appearance to suit your taste. As ever, the Hammerspoon docs are wonderfully clear and easy to follow (take a lesson, Apple!). -- bind to hotkeys; WARNING: at least one modifier key is required! Adjust values such as shortcut bindings as you please, and that’s it. 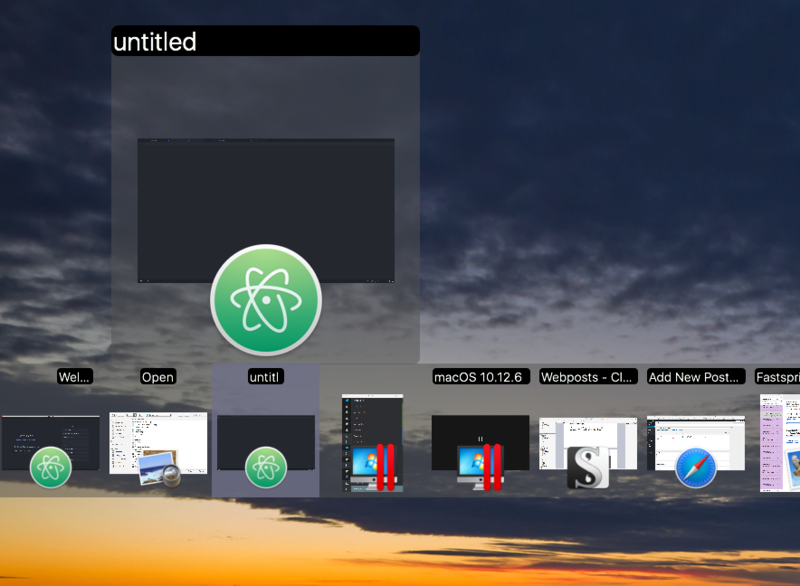 For two minutes work, you just added a very useful window switcher to macOS! 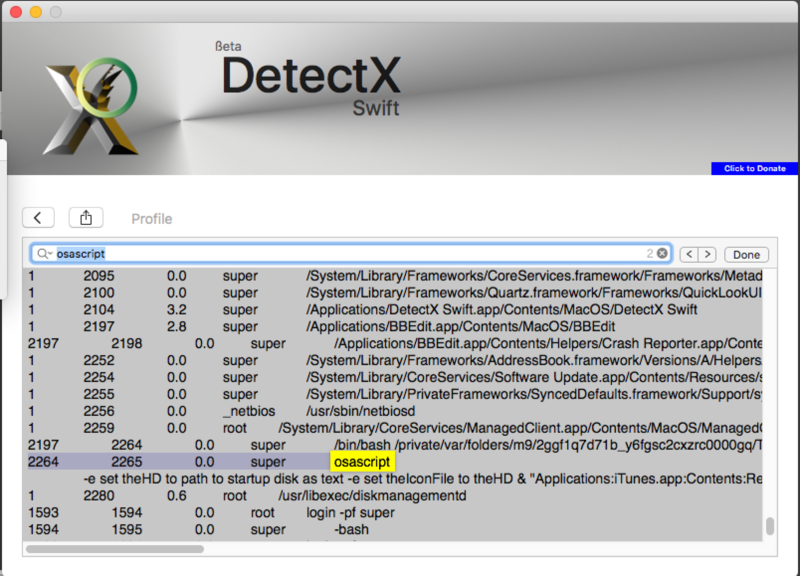 DetectX Swift now has the ability to do command line searches for issues on your mac like malware, keyloggers, browser hijacks and potentially dangerous software, and there’s a number of extra options that are not available when using the user interface. In this post, I’m going to give you a quick tour of the CLI (Command Line Interface) tool with some examples of how to use it (if you haven’t yet grabbed a free copy of DetectX Swift you might want to do that first to play along). There’s a help command that will output the documentation to the command line, and also if you get into the habit of regularly running command line checks, don’t forget to launch the app from time to time in the Finder. 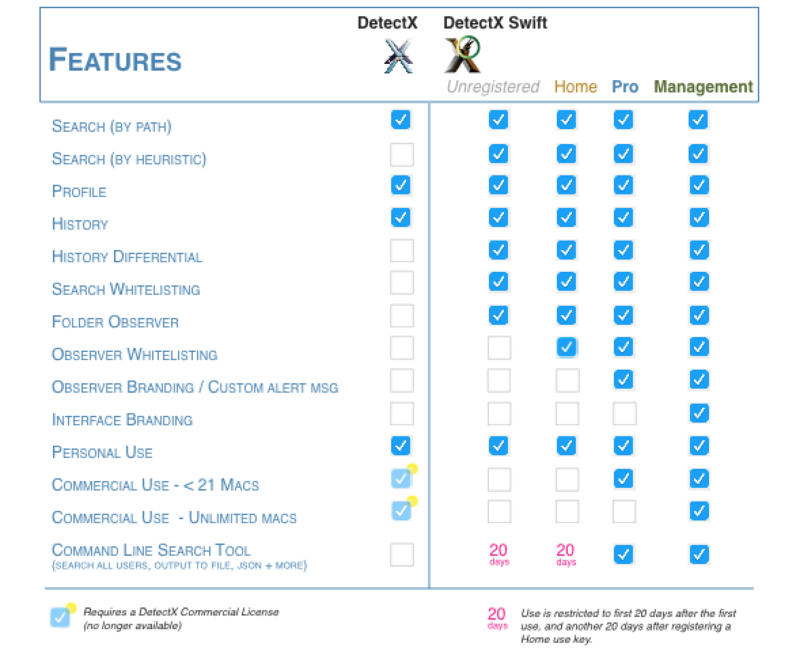 Like its predecessor, DetectX, DetectX Swift does a lot of other stuff besides searching that can help track down and remediate problems with your mac, and a large part of that revolves around the way it tracks changes to your system every time you launch it. The CLI tool runs independently of that and won’t give you that kind of feedback or record those changes. Finally, note that in the release version of DetectX Swift, the CLI tool is only available for a limited period to Home and Unregistered users. Unlimited acccess to the CLI tool requires a Pro or Management license. MyCouponize is an aggressive adware infection that simultaneously installs itself in Safari, Chrome and Firefox, It hijacks the user’s search and page loads, redirecting them to multiple web sites that advertise scamware and other unwanted junk. 1. Run the search in DetectX. 2. Click on the [X] button. You’ll find this button just above the results table to the right, between the search count and the tick (whitelist) button. It will turn red when you hover over it. When it does so, click it. Then hit ‘Delete’ to remove all the associated items. 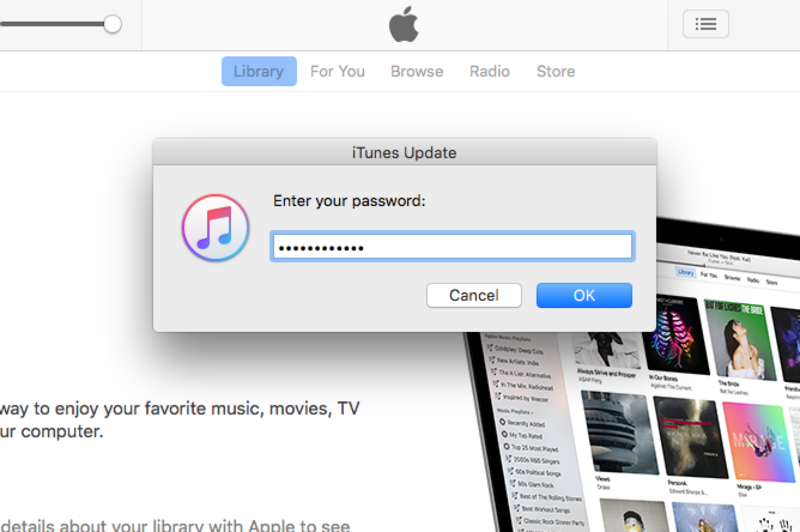 You’ll need to enter a password as some of the items are outside of your user folder. Press the esc key or click the ‘Cancel’ button on any pop up dialogs that appear. Here we’ll unload the launchd processes that belong to MyCouponize. Click the ‘Remove x’ button that appears when the line is highlighted. This item has already been deleted in step 1, but its process may still be running in memory. If its icon appears in the Dock, right click on it and choose ‘Quit’ from the menu. Click the uninstall button to remove the MyCouponize extension. After that, Safari should be in good working order. If you have Chrome, Firefox or possibly other browsers installed, make sure you remove the extensions or Add Ons from those, too. DetectX and DetectX Swift are shareware and can be used without payment, so go grab yourself a copy over at sqwarq.com. Since early November, I’ve been seeing reports of High Sierra users being presented with a dialog box from the Firewall asking whether the user wants to accept incoming network connections to rapportd. This is causing some confusion among troubleshooters as there’s a fairly notorious process with the same name associated with IBM’s (badly-performing) Trusteer software. This latter often causes system slow downs and the general recommendation is to remove it unless you absolutely can’t live without it. However, the rapportd process responsible for the dialog has nothing to do with IBM’s Trusteer and is, in fact, an Apple daemon introduced in 10.12. According to the man page, Apple’s rapportd is a daemon providing support for the Rapport connectivity framework. Although rapportd is bundled with 10.12, it appears to have only become active in 10.13.
at the command line doesn’t return any hits on my 10.12 machine, but High Sierra reveals that Apple’s rapportd process is listening for network connections on port 49158. Further investigations have found that rapportd is connected to Apple’s HomeKit framework, a home automation platform for controlling smart home products with iOS apps and Siri voice commands, and is likely related to Airplay 2.
that’s the IBM app you’re looking at. Whether you want to allow that or uninstall that will depend on both your mac’s performance and whether you need the software or not. Hope that helps to clear up some of the confusion! Given news that some hackers are using websites to mine cryptocurrency even when users apparently close their browser on Windows, I got to wondering whether a similar exploit would work on macOS. As the video above shows*, a malicious app can easily hide an open Safari window from all desktop workspaces, making it incredibly difficult for users to notice or to make visible again even when they do. This trick can be exploited without elevated privileges, and it doesn’t matter whether the malicious app is code-signed or not. An invisible Safari window is a problem because it could be running scripts, mining cryptocurrency, redirecting to sites for adware revenue or doing all manner of other things. Note the window could contain multiple tabs that the user may have already been tricked into opening before the window is made invisible. 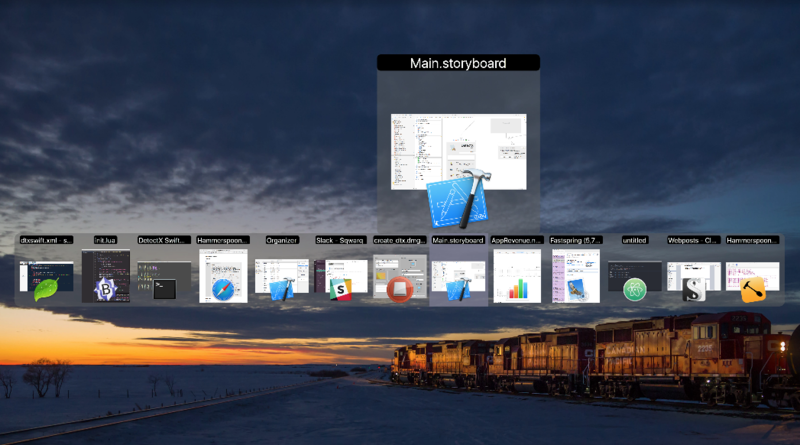 As can be seen in the video, the Safari window isn’t in another full screen workspace, or minimized in the Dock or hidden by any other window or toolbar (as in the Windows 10 trick). On the contrary, it can’t actually be found anywhere, and nor will Window > Bring All To Front help. If you open a new window and then try to use Merge All Windows to bring the hidden window out, all that happens is your new window will disappear with the hidden window too. The only visible indicators that there’s an invisible window open are the window list in the Window menu, and the invisible outline revealed by Expose (four-finger swipe down). So what if you find there is an invisible window hiding from you, how do you get it back? To retrieve and kill the hidden window, you need to click View > Enter Full Screen, then click the red close button. Don’t click the green button to take it out of full screen though, as that’ll just cause it to hide again, with a nice animation that you can see on the video! Another day, another hacker trick to watch out for folks! * This vulnerability was demonstrated on 10.12.6. It also exists in both 10.11.6 El Capitan and 10.13.2 High Sierra. One of the obstacles in becoming a command line guru is actually figuring out not just what’s available (see learning the Terminal: part Three) but how to use it. That just got a whole lot easier thanks to a (relatively) new tool called tldr. Most command line (CLI) utilities come with either a man page or a help command, invoked either by man or </path/to/tool> --help, respectively. That’s traditionally the way we learn all the ins-and-outs of a given tool. If you’re lucky, there will be some examples at the end of the man page, and if you’re luckier still, there’ll be an example of exactly what you want to do with the tool there, too. But what if you’re not lucky? Some CLI tools come with very few or no examples, some come even without a help command or man page. When that happens, prior to tldr your best bet was to go on an internet search or ask a friendly CLI expert if you knew one. Now, tldr provides a third, and perhaps better, option. Unlike traditional man pages, tldr just spits out some basic examples of the CLI tool you specify, and that (more often than not) may be all all you need to get going (see the screenshots for examples). If not, either install homebrew first, or see the tldr homepage for other ways to install. If you’d like to make that into a nice little function that you can call simply with something like tldr_list, review the first post in this series on how to make and add functions to your .bash_profile. As tldr is a community-based program, it is likely to be added to quite regularly (I have a few I’m planning to contribute myself), so we can only hope that the pdf is updated regularly and/or that tldr gains a proper introspective list function. you’ll note the ‘update’ command. It’s probably worth remembering to run that from time to time. tldr also comes, of course, with its own man page, too! Time was this would take a trip to the Terminal, but if you’re running Sierra or above there’s a handy new keyboard shortcut. Just activate the Finder and hold down shift-command-period. Repeat to toggle invisible files off again. This works not only in save and open dialog sheets, but in regular Finder windows also. Spoofing or phishing – presenting a user with fake authentication requests – is a common email tactic, but it’s not the only vector where you need to be on your guard. Every version of macOS is vulnerable to a very simple phishing attack right on your desktop that doesn’t require admin privileges to run, would not be detected by GateKeeper or XProtect, and which could easily be placed on your mac by any of the nefarious malware / adware installer scripts that come with some less reputable software downloads. As you can see, it’s easy to grab the icon of any Application and put it in the script; it doesn’t even have to be the icon of an app that’s running. The simple demo I gave above could easily launch iTunes first to increase the coherence of the attack, or it could use a completely different icon, including the icon of security programs you may have running on your mac.